We sketch out a few scenarios here, but you should consult with an experienced Columbus traffic lawyer to learn all the details relevant to your particular case. You can schedule a free first-time appointment with a license suspension attorney by calling The Maher Law Firm at (614) 205-2208 or completing the online contact form. I had my Ohio driver’s license suspended because I refused to provide breath, blood, and urine samples for drug and alcohol testing during an arrest. An administrative license suspension (ALS) for OVI test refusal must be appealed within 30 days of when it took effect or it will last for one year or longer regardless of what else happens in your OVI case. Working with a drunk or drugged driving defense attorney will ensure you file the correct paperwork with the correct court officials. If the ALS is not lifted entirely, limited driving privileges may be granted to allow you to drive to and from work, medical appointments, treatment, and the courthouse or lawyer’s office. Testing above .08 for blood alcohol concentration cost me my Ohio commercial driver’s license. Ohio law enforcement officials can issue an ALS to you if you register a BAC of .08 or higher. Any ALS, regardless of why it was imposed, will apply to your own personal license and each commercial driving certification you hold. An experienced Columbus DUI lawyer will be able to appeal your ALS. If you do not win your appeal, you cannot legally drive a commercial vehicle until the full term of the ALS has expired, which can mean losing your job. Since the BMV follows different procedures from criminal courts, appealing a CDL suspension with the help of a lawyer is strongly recommended. My sentence for OVI included a one-year license suspension. 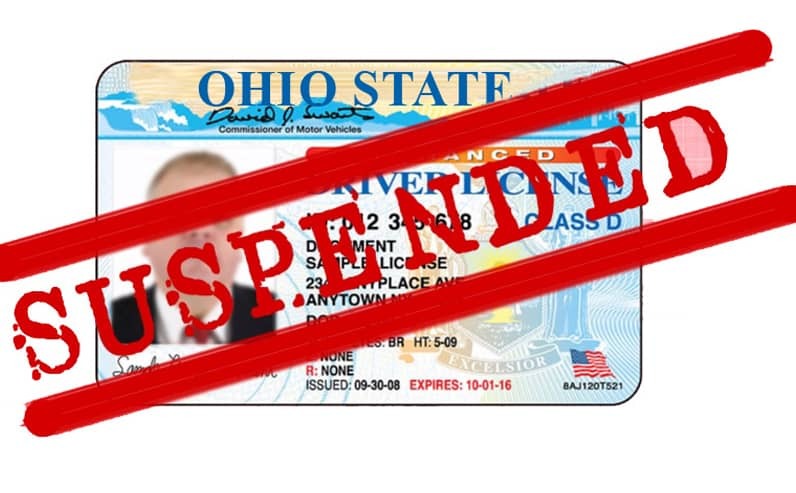 You cannot shorten a court-issued suspension, but you can have your Columbus, Ohio, driver’s license reinstatement lawyer push for a restoration of limited driving privileges. You might be able to commute to and from work as soon as 15 days of getting sentenced if you are facing your first OVI conviction. Having full driving privileges returned, however, will require waiting the full 365 days, applying to the BMV, reestablishing insurance coverage, and paying a reinstatement fee. Getting your CDL back may require retaking the written and road tests. A court order to pay past-due child support included a license suspension. Settling the debt, setting up and starting on a repayment plan, or convincing a judge to forgive the outstanding balance must be done before a license suspended for failure to pay child support will be reinstated. Working with both a criminal defense lawyer and a family law attorney may be necessary to clear up the legal issues. The BMV will ask for proof of continuous insurance coverage and payment of a license reinstatement fee. Failure to provide proof of insurance cost me my Ohio driver’s license. Reestablishing coverage and paying a reinstatement fee are necessary. Depending on how many times you have been caught not having insurance, you may be eligible for driving privileges. The more offenses you have, the longer the suspension will be. Talk to a Columbus driving under suspension attorney in order to find out how they can help you get valid. Call The Maher Law Firm at (614) 205-2208.